The tenth meeting of the Executive Committee of the World Congress of the Crimean Tatars was held in the Ukrainian capital on October 28. Representatives of the Crimean Tatar diasporas from Turkey, Lithuania, Kazakhstan, the United States and Germany gathered in Kyiv to discuss the challenges and tasks facing the Crimean Tatars. Traditionally, the meeting began with a report on the activity of the Mejlis of the Crimean Tatar people and Crimean Tatar diasporas from different countries of the world over a three-month period. According to the Chairman of the Congress, the Head of the Mejlis of the Crimean Tatar people Refat Chubarov, one of the important results of the work was the creation of a class with the Crimean Tatar language of education in Novoaleksiivka, as well as the Crimean Tatar group in the kindergarten. Moreover, the work on drafting of amendments and additions to Section X of the Constitution of Ukraine concerning the creation of the Crimean Tatar Autonomy reached the final stage. "This may be more than the matter of the Mejlis of the Crimean Tatar people, since the members of the Mejlis will make a decision here, but the whole of our diaspora is involved in the processes regarding consolidation of the status of the Crimean Tatar people in their homeland, in the Crimea. And we see eye to eye on the fact that legislative registration of this status must be accomplished before the Crimea is de-occupied," Refat Chubarov said in a comment to QHA correspondent. Particular attention was paid to the situation with human rights of the Crimean Tatar people in the occupied Crimea, as well as organizing events in honor of the 100th anniversary of the First National Kurultai of the Crimean Tatar people. For the first time these events will be held at the state level. Thus, a solemn meeting is to be held in the Verkhovna Rada of Ukraine. The Deputy Chairmen of the Mejlis of the Crimean Tatar people Akhtem Chiygoz and Ilmi Umerov who were released the day before were able to join the discussion. 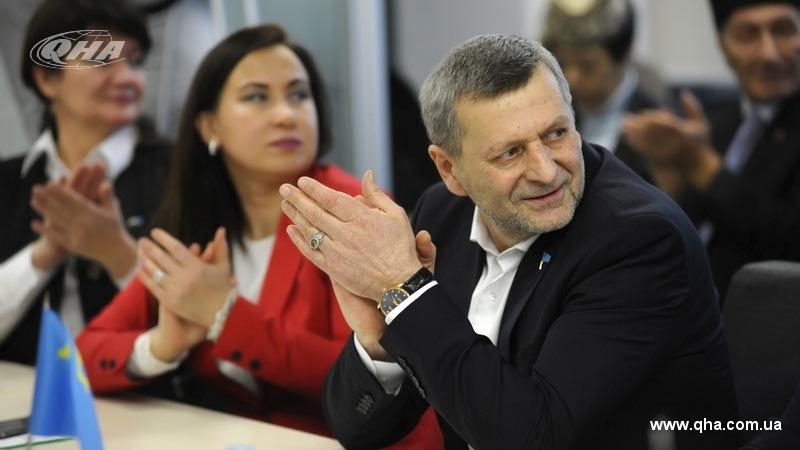 “Today’s meeting seemed to me very bright, because the number of the Mejlis members at our table has increased: Akhtem Chiygoz, who had been away for almost three years, he was in prison, and, of course, Ilmi Umerov, who had not been able to leave the Crimea for more than a year to see us, he was to be sent to the colony. And the fact that they were released is, of course, a very big event for us," Chubarov noted.